This just happened this morning! A previous client called to discuss the possibility of selling their rural home in Salem, Oregon. Of course one of the first things most home owners want to know is the value of their place. After doing some research, I came up with several good comparables in the area and determined a value of about $550,000. For the fun of it, I punched their address into Zillow, just to see what they had to say. $437,000! Wow! I know I have said it many times, but I will say it again. 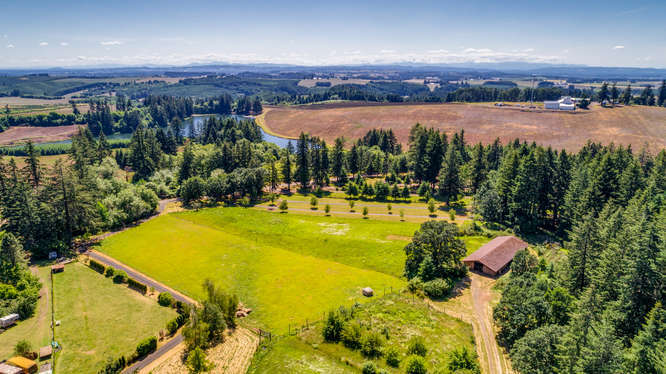 Online valuations of your rural, acreage, or Oregon horse property are usually wrong. This was an extreme case, I have never seen it this far off. If your house is in town, with similar construction to the houses around it, I think they are fairly accurate. But, when it comes to small acreage homes, equestrian real estate, country estates, etc, there are just too many factors to consider when determining the value of that kind of real estate. Also, the online valuations lose that inside knowledge by not working with buyers directly, hearing what is in demand and physically walking through a place to really get to know it. There is just no comparison. So, if you are preparing to sell your horse property, rural estate or country home, let’s see what your place is really worth, using real data! Just fill out the form on the upper right hand side of this page, Send an email or call 503-999-4497.